A street view, you say, easy to identify. But see if you can guess how I got this picture and why it looks so "other worldly"
do I see a doorknob in the lower righ thand corner? I like Sara's guess of a reflection, so maybe a reflection off of a glass door? 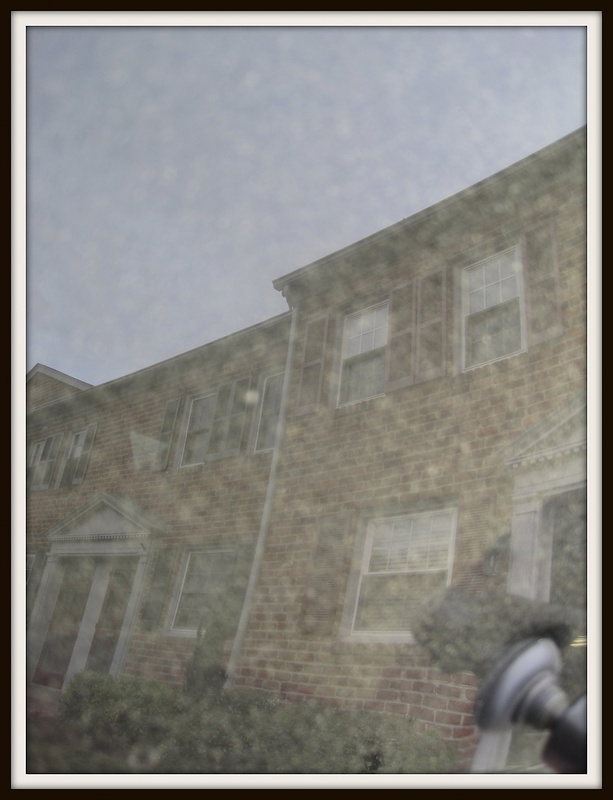 Did you take this shot looking through a window or storm door? And it looks so different because of all this nasty, yellow pollen? this has a deep insight...the caption goes well with it!